Painting, Installing and Harvesting Bee Hives. 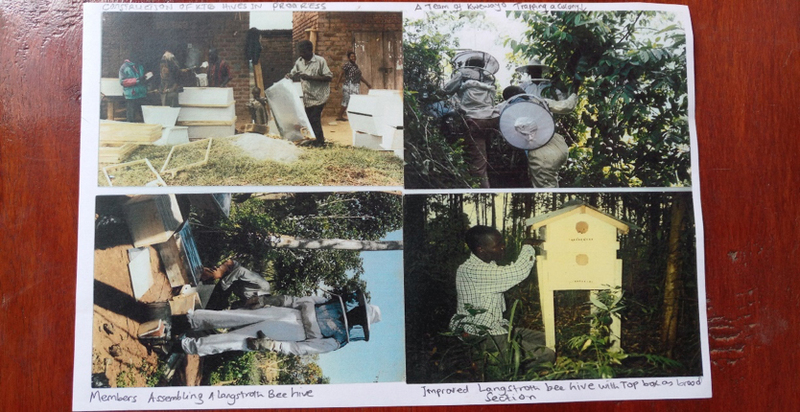 Registered in 2010, this collective of farmers focus on developing the business of beekeeping (apiary) in Masaka. Bees are arguably the most vital piece of the puzzle in world’s eco-system, some studies have stated that they are responsible, directly or indirectly, for 90% of humanities food supply through their pollination. However, due to the destruction of their natural habitat, bees are in rapid decline. Kwewaayo Farmers set out to change this by promoting apiary as a viable business and planting flowering plants that act as a good source of food for the bees. By training, creating markets, and demonstrating a variety of products, the group are determined to prevent the decline of bees and encourage the wider farming community to pay more attention to their environmental impact. With a focus on recruiting the underprivileged, youths, and the disabled communities in semi-urban and rural communities, the group currently has 464 members in Masaka. 120 bee keepers trained and capacitated on how to add value to their bee hive products. Establish a community training centre for bee keeping where 500 farmers will be trained every year. With your fundraising we aim to create 100 bee hives and plant 400 flowering plants throughout Masaka Town. Not only will this encourage the bee population, but it will also improve the aesthetics of the whole town. Your fundraising will also go towards increasing the capacity, market and learning of bee centered food production. The plan is to produce high enough quality honey and venom powder (used for medicinal purposes) to export internationally. Your investment is likely to yield £8,000 a year, across the two harvest seasons for honey and venom across 120 households! That’s a full months wage added to each of 120 families in just one year!!! 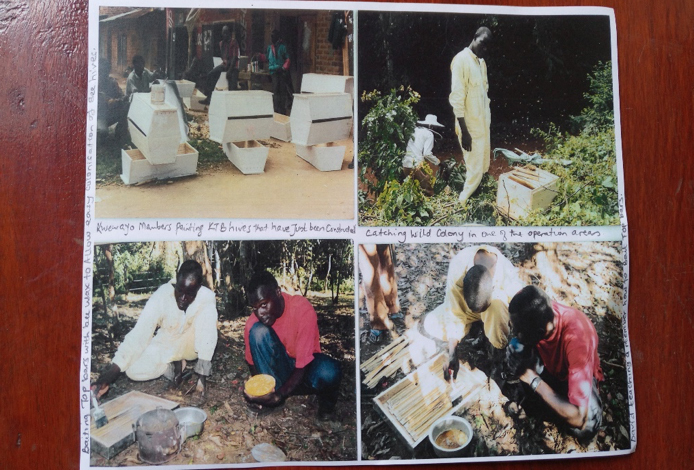 To promote the vital work of bee keeping, Kwewaayo Farmers group participated in the biggest secondary school science fair in the whole of southern Uganda. It was a real honour for this rural group to be the centre of attention, showing off their bee hives. The group demonstrated so much to the students on how they harvest honey without getting stung, and they explained the profits and environmental benefits of keeping bees. They really were celebrities for the day, and they are sure that they will have future partners as once students graduate, many will take up bee keeping.